Every week, we are heavily engaged in presenting a variety of projects to municipal boards throughout Westchester County and beyond. Decades of successful experience have given us the skills needed to guide our clients and their professional project team through the complex labyrinth that is the modern review process. We are well versed in the applicable state and local laws, as well as the court decisions that are germane to the matter at hand. Our matters run the gamut from the relatively simple, to the most complex and controversial. 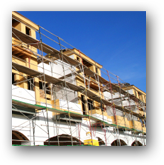 We handle everything, from a setback variance or a wetlands permit for a homeowner who wants to build an addition, or a small business owner seeking to open a new store, to significant condominium, subdivision, and commercial projects. 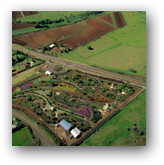 We regularly receive referrals of land use matters from other attorneys and from engineers, planners, and architects. We are generally successful in steering an application towards its ultimate approval by the Board, whether this involves a single meeting or a more protracted effort. In the event of a denial, however, we have extensive expertise in litigating with municipalities through the lower and appellate courts. In addition to our principal practice in representing property owners and developers, we also have extensive experience in serving as zoning counsel to municipalities. We defend zoning approvals of municipal boards against legal challenges. We also advise citizens with reasonable concerns regarding development projects.